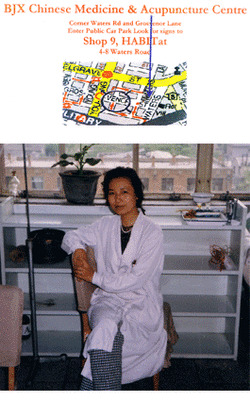 Jenny Jia (Xiao Yu) has over 30 years of expertise in practicing Traditional Chinese Medicine and Acupuncture. She holds a Bachelor of Traditional Chinese Medicine from Beijing TCM University, with 10 years experience attending in Beijing TCM Hospital as a Senior Doctor and 5 years teaching at Beijing TCM University, and has been in private practice since. Did you know Acupuncture and Chinese Medicine could treat these illnesses? It is important to find an experienced TCM doctor. In Australia, she has practiced as a TCM doctor for thirty years and has treated many patients with problems including skin problems, high fever, asthma, diabetics, arthritic, stiff neck, shoulder and lower back pain and many other ailments. With the rich experience from practice, Jenny would like to tell everybody that TCM is a part of science; it is built up of basic theories and practical experience. A full course of treatment over a period of time could help people's health problems and enhance moods significantly. Medical fund rebates are available from most health funds for Acupuncture. Graduated from Beijing Traditional Chinese Medicine (TCM) University in China with a Bachelor of TCM. After graduation Jenny worked at the Huguosi Hospital, Beijing as a Senior Doctor for 10 years. During this period she has treated over 10,000 patients using both Western and TCM medicine, which included some very serious diseases. Teacher for 5 years with Traditional Chinese Medicine (TCM) University.